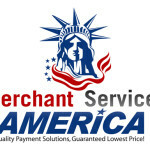 Q?What Is A Merchant Account? A merchant account is a type of bank account that allows businesses to accept payments by debit or credit cards. A merchant account is established under an contractual agreement between an acceptor and a merchant acquiring bank for the settlement of credit card and/or debit card transactions. A chargeback is when a consumer may dispute a merchant charge on their statement, and contact their credit card issuer to cancel the charge. The Issuer will then withdraw the money for a transaction from the merchant’s account until the dispute is cleared. Q?What Is A Payment Gateway? A payment gateway is an online/e-commerce application provided by a service provider, such as authorize.net or eProcessing Network, that authorizes payments for e-businesses, online retailers or traditional brick and mortar. Think of it as a virtual terminal for processing credit card transactions via the web. These services protect credit card data transmissions by encrypting sensitive information, such as credit card numbers, to ensure that information is passed securely between the customer and the merchant and also between the merchant and the payment processor. ACH (Automated Clearing House) is an electronic network for financial transactions in the US. ACH credit transfers include direct deposit payroll, vendor payments, consumer payments and bill payments. Businesses increasingly use ACH online to have customers pay, rather than using credit or debit cards. Q?What Is A Check Verification Service? check verification services provide businesses or individuals with the ability to validate checks and/or the ability to verify the history of the check account holder. Services like TeleCheck are a good example of this. Services like these allow merchants to process checks on their card terminal the same way they do credit and debit cards. Q?What Is A Gift Card? maximum). Gift cards are divided into “open loop” and “closed loop” cards. cardholder’s name, and could be used by anybody. The Payment Card Industry (PCI) Data Security Standard (PCI DSS) is a set of requirements created to ensure that all businesses that process, store or transmit credit card information must maintain a secure environment. Basically any merchant that has a Merchant ID. Q?What is The Durbin Amendment? In October 2011, new rules went into effect that placed a cap on debit card interchange fees that Visa and MasterCard networks charge merchants. These rules lowered processing costs for both merchants and consumers.